Retail is undergoing an artificial intelligence revolution. The latest advancements in deep learning algorithms are now impacting all corners of the industry, from stock optimization and smart warehousing, to search, recommendation systems and forecasting. These significant advancements in AI, data science and deep learning are giving online shoppers and sales staff the tools they need for the most the efficient shopping experience possible. At Instacart, these technologies are allowing them to predict the sequence that customers pick items in specific store locations, in some cases saving their product pickers upwards of 10% of their time spent locating and gathering items in-store. This efficiency is extremely valuable in the competitive and continually evolving world of online shopping. At the 2017 Machine Intelligence Summit in San Francisco, Jeremy Stanley, VP of Data Science at Instacart, shared expertise on how deep learning can be used to create more efficient online shopping, with insights into the data collection, mobile technology and machine learning approaches they are applying to enable on-demand grocery delivery. View his presentation with slides below. Instacart has revolutionized grocery shopping by bringing groceries to your door in a little as an hour. The crux of the company is their shoppers, who shop in brick and mortar stores and bring the food to customers thousands of times per hour. Making these shoppers as efficient as possible is critical to the business. 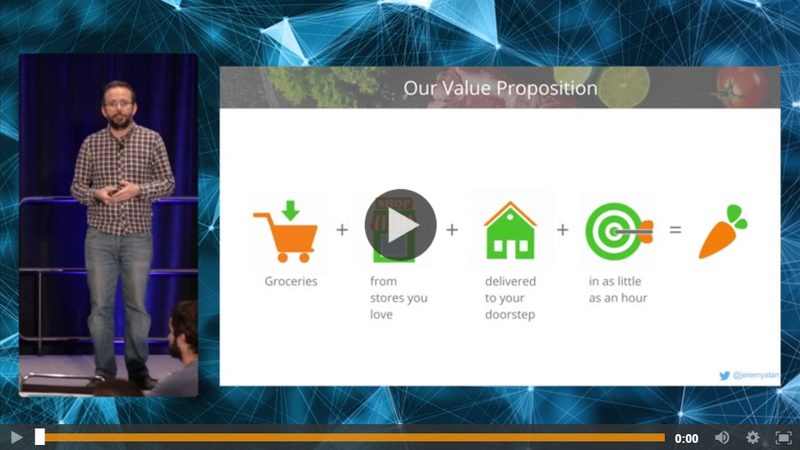 Hear how Instacart is applying deep learning to the shopping list to improve shopper efficiency, predicting the sequence that shoppers pick items in specific store locations - in some cases saving significant time in-store. Here Jeremy discusses the data collection, mobile technology and machine learning approaches Instacart is applying to enable on-demand grocery delivery. View a selection of presentations from the 2017 Machine Intelligence Summit in San Francisco here, or contact Chloe cpang@re-work.co for video membership options. Discover the latest deep learning advancements and how to leverage methods to improve advertising and the retail experience at the Deep Learning in Retail & Advertising Summit in London.